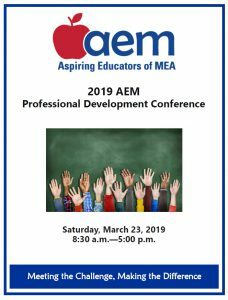 The 2019 AEM Professional Development Conference announcement is now available for download. The conference will be held on Saturday, March 23, 2019 at MEA Headquarters in East Lansing. Contact Rebbecca Ernst at rernst@mea.org or 517-333-6250 with questions.